Shop Hartford at this annual event from 6 pm - Midnight! Stroll down Main Street and check out deals on those last-minute gifts on your shopping list! Bring a camera to capture a photo-op with Santa. 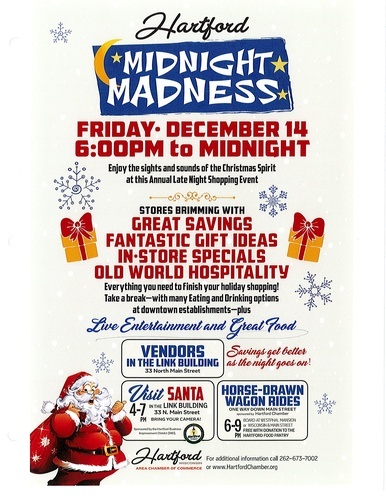 Come enjoy a fun night in Hartford at Midnight Madness!